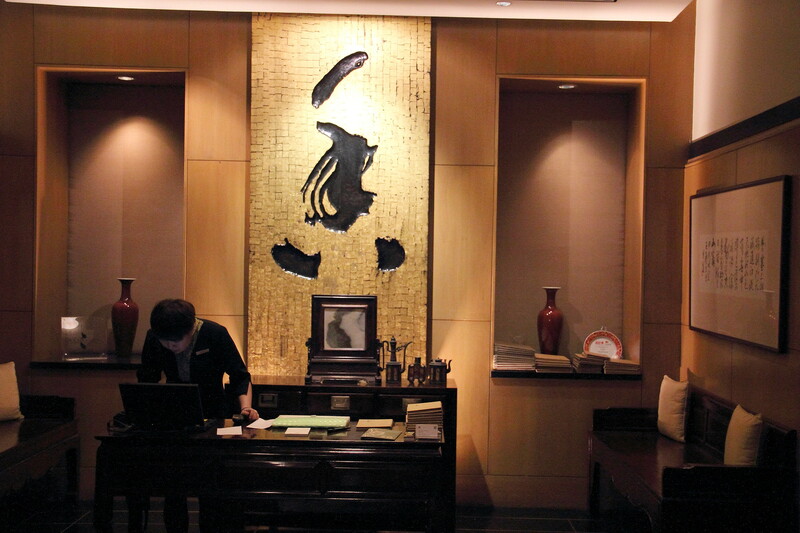 Marriott Tang Plaza Hotel (formerly SINGAPORE MARRIOTT HOTEL) is into its 20th birthday. To commemorate this milestone, an array of attractive 20th birthday promotions and activities have been rolled out since 4 May and all the way till 31 July. One of which will be the Dining Special by Wan Hao Chinese Restaurant (萬豪軒). 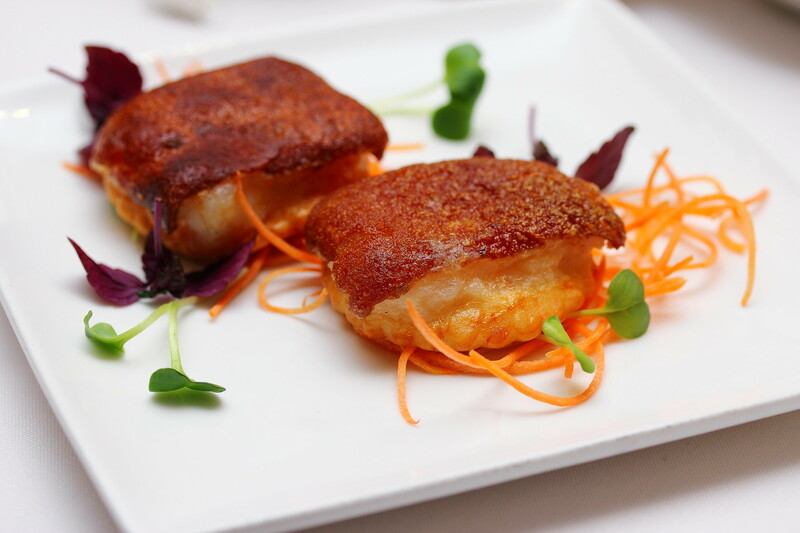 The restaurant has come out with a menu that curates the most lauded dishes for the past 20 years. To get our engine started, Crispy Suckling Pig with Prawn Paste ($30++) was the first dish tonight. Sandwiched between the perfectly crisp skin and a piece of cracker, the prawn paste helps to beef up the mouthfeel, which would otherwise may be too dry. However, I didn't quite like the cracker at the bottom, which has soften under the heat. 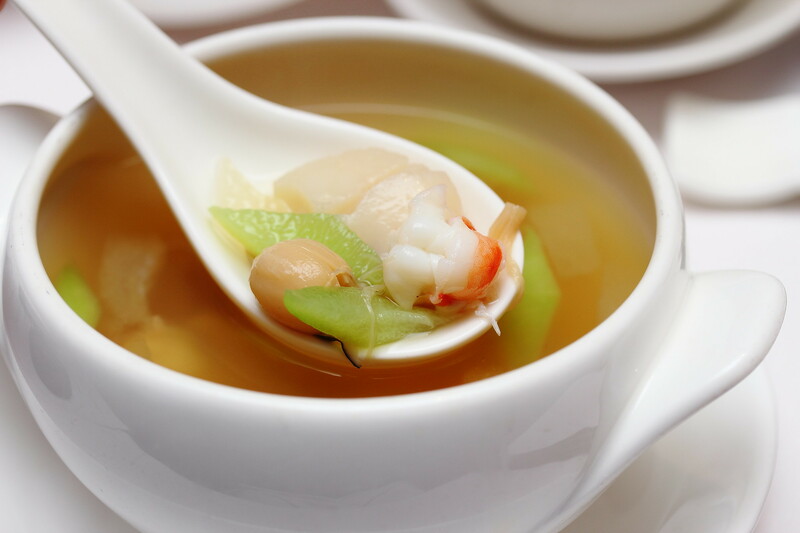 Double Boiled Winter Melon Soup with Assorted Seafood ($18++). The soup is light and carries the subtle flavour of the seafood. I like how the seafood has been cubed which allows me to have a bit of everything in every spoonful. A good way to cleanse my palate before the mains. 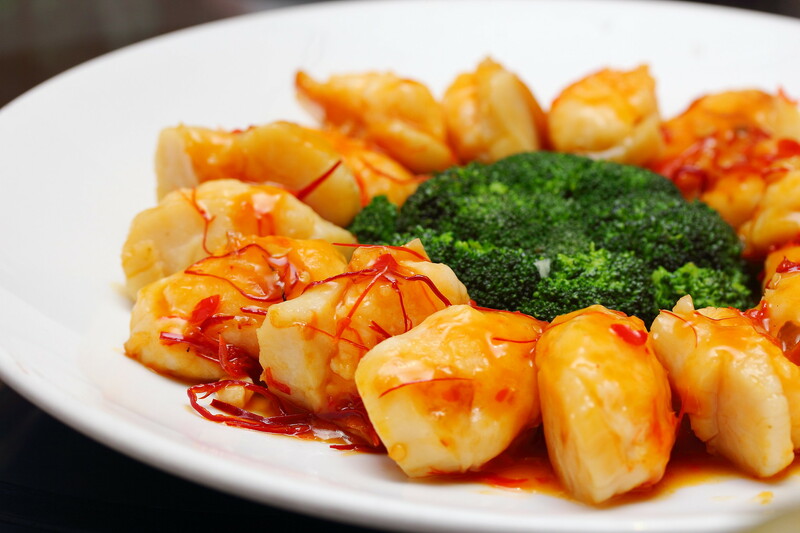 Pan Fried Fresh Scallop, Shrimp Paste & Broccoli with Spicy Szechuan Sauce ($32++) came next. I thought they were really huge with shrimp paste atop. The scallop is fresh and sweet, quite well done I would say, so much so that I feel the shrimp paste isn't necessary. It is a pity that the spicy Szechuan sauce tends to be little overwhelming, masking the sweetness of the scallops. Served with fried cuttlefish at the side, Wan Hao Special Crispy Chicken ($22++ for half/$40++ for whole) is one of their newest dishes. The fried cuttlefish strips is quite addictive. 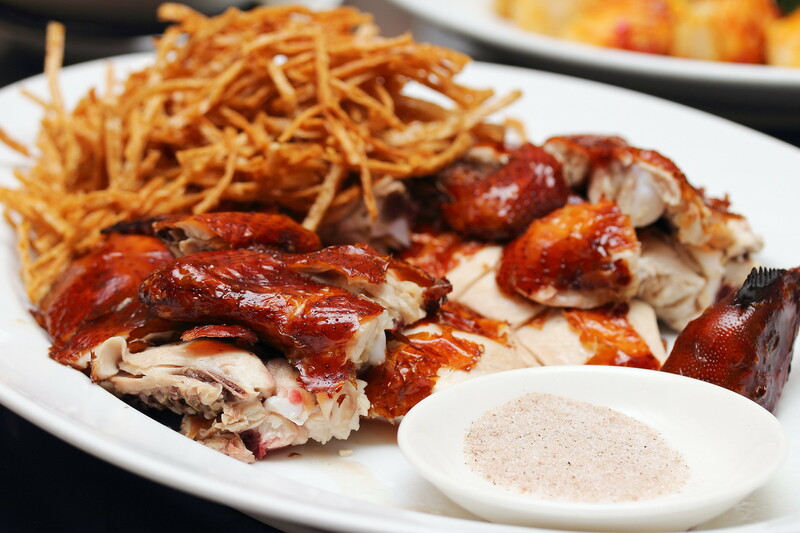 The chicken remains moist and tender, with its skin crisp and thin. This dish definitely sits well with the young and old. 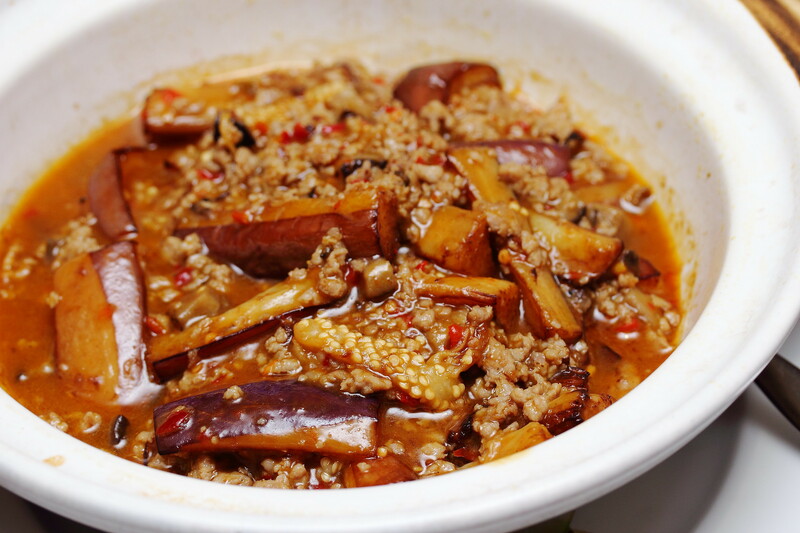 You may be familiar with this dish, Claypot Eggplant & Minced Pork with Spicy Sauce ($22++). It is a typical dish that my parents often order when dining out. Some say it's like a comfort food, having to eat it since young age. Though I find it slightly too heavy for me, I appreciate the authenticity of this dish. It's one of those dishes that may make you crave for rice! Their Wok Fried Australian Beef Tenderloin & Chilled Marinated Sour Plum Pear with Light Wasabi Sauce ($30++) was voted the favourite dish by many that night. 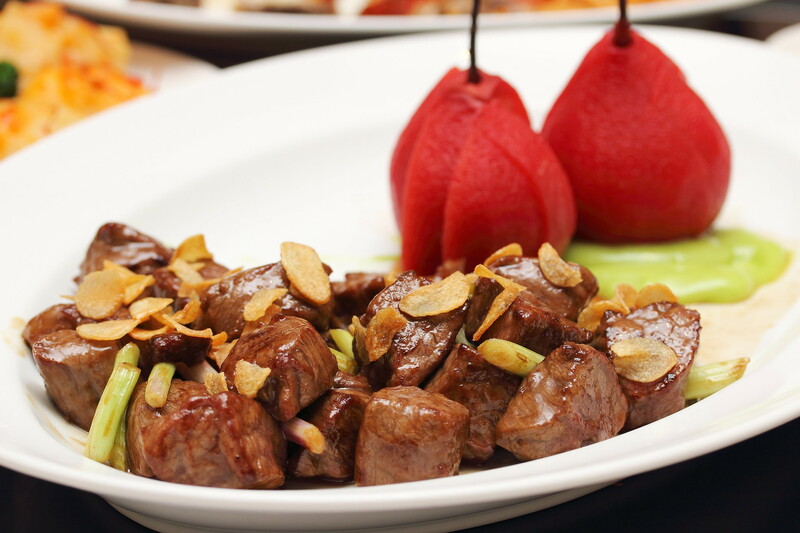 Served with chilled marinated sour plum pear with light wasabi sauce, the presentation is rather unusual. The beef cubes were nicely charred, with a juicy and pinky core. Each bite releases the rich and fatty flavour of the meat which makes it extremely satisfying. 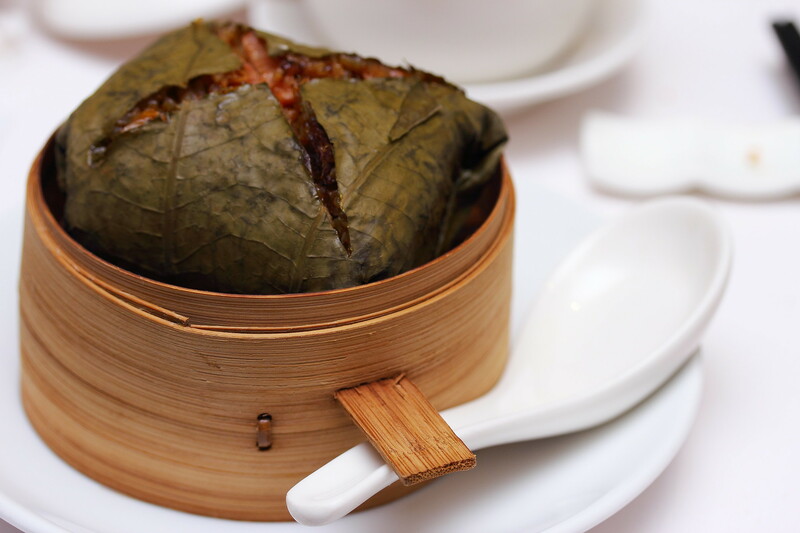 Our last main was the Wok Fried Lotus Leaf Rice & Waxed Meat ($12++), a classic to a Chinese dinner. What was in front of me was a cute little bundle of joy. Peeling the lotus leaf open was like unwrapping a mystery gift! What greeted me was a generous mix of Chinese sausages and the fragrant rice. The rice was quite well flavoured but I thought it would have been better if it is grainier. 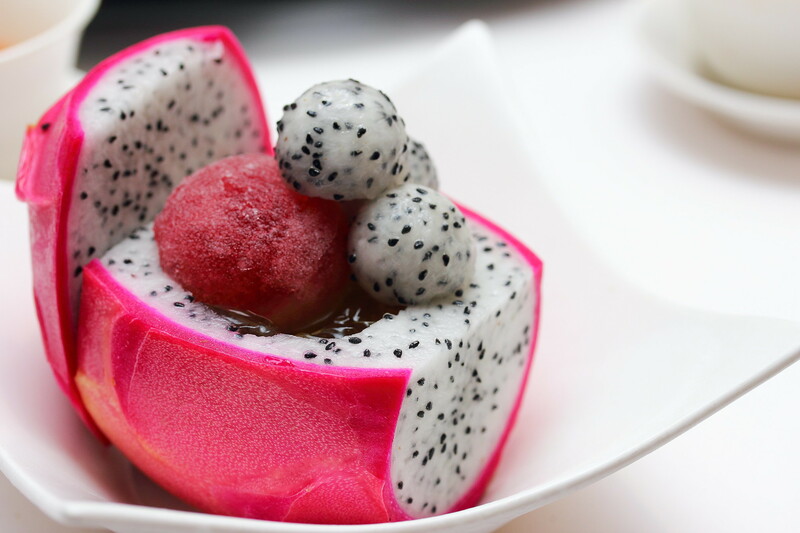 What wow me is actually their dessert, Cold Lemongrass Jelly, Red Wine Granite & Diced Dragon Fruit ($13++). The lemongrass jelly was soft, pleasantly sweet and refreshing. The red wine ice ball was like a melting snow in my mouth. Despite being full to the brim, I finished my dessert effortlessly. It's amazing how these recipes have been kept and handed down over the years. I feel it is a menu that is high on comfort level, with returning customers indulging in tastes that they have fallen in love with years ago. Coupled with some modern takes on classic dishes, I believe it will win the new generations as well. Dine in on Mondays and enjoy selected dishes at $20++. So do take this rare opportunity to try their signatures!